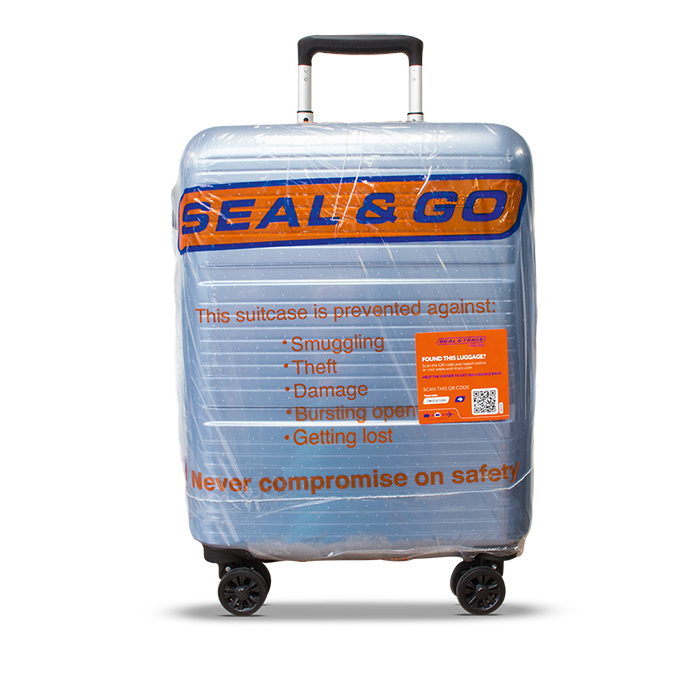 Seal & Go is a 100 percent Dutch company specialized in protecting baggage. Our innovative machines work fast and are fully equipped. Our unique technology meets the highest European safety regulations and worldwide airport regulations. Are you one of our licensed business partners, press or interested in our concept? Request access to our special B2B information pages. Do you want Seal & Go at your airport? Please don’t hesitate and contact us! When you become a licensed business partner you will have the benefit of our newest innovations and updates. Seal & Go is a revenue driven concept. Per square meter Seal & Go generates more revenue than most retail stores. Besides that, costs for airlines and airports will be decreased. Our sealing machine only needs one layer of shrink foil of approximately 2 meters for one piece of baggage. Less foil results into less pollution caused by thrown away used foil. Seal & Go machines are specially made to offer high quality and quantity. Seal & Go is continuously working on the improvement of the technology used. 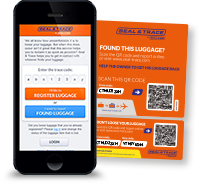 Read the success story of Seal & Go at Amsterdam Airport Schiphol. Seal & Go offers a wide range of safety, travel and comfort products. As a business partner you are able to order our products online. Download the Seal & Go brochure or view some publications about our company in magazines. We provide a very unique advertising opportunity: your business logo can be printed on the sealing foil. Imagine how many travellers will notice your company logo. This information page is especially meant for our Seal & Go Technicians / Desk Operators around the world.